Chicago is a city full of great food, culture, and music. 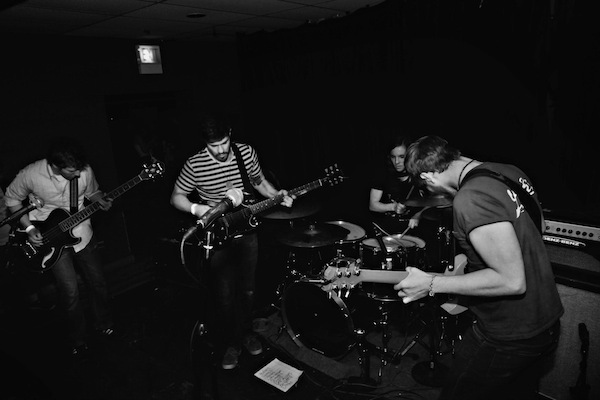 Our latest artist, The Howl, knows all about embracing their city’s diverse heritage with an eclectic mix of math rock, punk, and indie sounds. 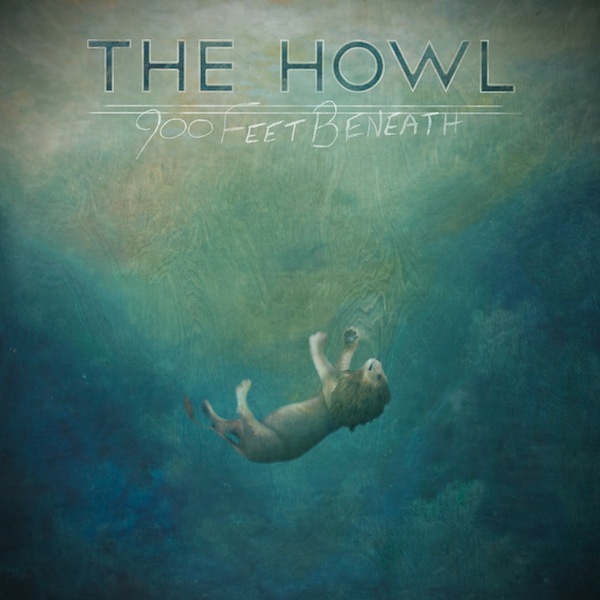 Their latest album, 900 Feet Beneath, is chock full of tasty tracks featuring toe tapping drums, energetic vocals, and textured guitars throughout. We don’t like picking a single track to define the record, but do yourself a favor and check out “Dinner With Bentham” to get a taste of what The Howl is all about! TheKnifeFight: How did you guys meet and decide to start making music together? The Howl: John and I went to High School together with Ryan. We all met in high school, though we were all different ages. We didn’t actually get together to play music until after Ryan and I were well out of high school. I had a couple of songs and John played drums so we just started slamming them out in my basement together. That’s when some of the first Howl songs were constructed. Ryan later joined on bass and after cycling through a guitarist or two, my brother Evan joined the band. I’ve known that guy for a while haha. TKF: Are there any bands/artists that influenced you to become a musician yourself? TH: I always drew a heavy influence from Tom Gabel, more recently known as Laura Jane Grace. Her lyrics and songs are so raw and bold. I always drew a lot of influence from honest bands and punk rock bands. John played a lot of jazz growing up. But I think we all grew up listening to a lot of punk rock music. TKF: Which “power animal” best represents your band as a whole? TH: After much heated discussion, we’ve decided that our power animal is most likely an Energy Pig. Which is a magnificent mammal that Ryan and I came up with on a long drive down south. TKF: Your album is entitled 900 Feet Beneath. Can you tell us what it means and how it came to be named that? TH: We spent a lot of time going through all of the lyrics on the album in search of something that really stood out. We wanted to call it something that really embodied what a lot of the central themes were. 900 Feet Beneath is what stuck. Feeling down, helpless or lost are a lot of the themes on the EP. to be underwater, without oxygen, without support. It’s a lyric from the closing track on the EP entitled “Dinner With Bentham” and it’s a reference to the depth of Lake Michigan. TKF: What’s next for the band? TH: Playing lots of gigs and pushing this EP to every single blog, person, label and critter we possibly can. We want to tour this winter and are writing new material for a possible full length.